I took a look at your last couple of posts. So inspiring and kind. Your socks are amazing, as usual. I hope your vacation brought you rest and relaxation to renew your spirit. You know I can't leave a wordless thing alone. Why, I don't know what those are, but they must surely be right out of Dr. Seuss. Thank you so much for your thoughts and kind words about Leo. It's getting better every day but I do so miss that doggy. I love these; we discovered them in OR last summer. 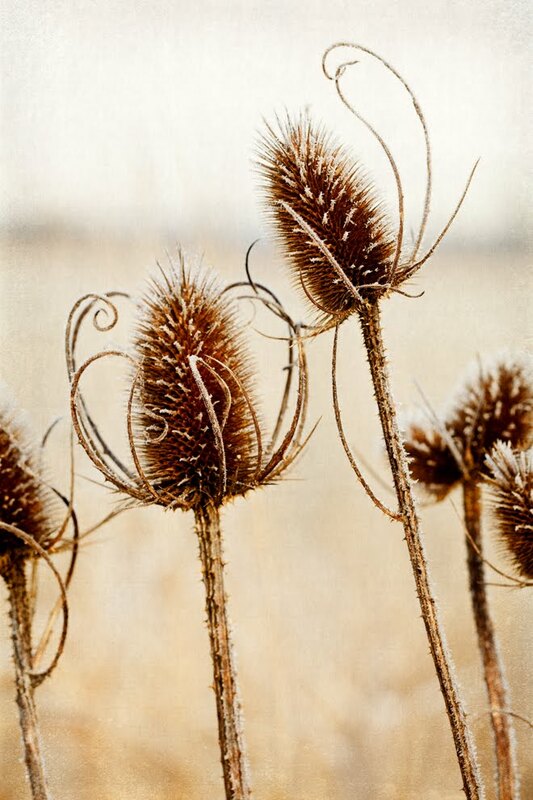 Are they teasel? That's what another blogger friend thought. Turns out I had some here at home, dyed red, in a dried flower bouquet! Just beautiful, happy to visit again. Your work is so lovely. Oh my goodness! I accidentally clicked on the photo and got the enlargement - which was even more beautiful! R U a Duck? R U a football fan?